On-line Measurement Solutions Plastic Films Industry | Quality2Process B.V. 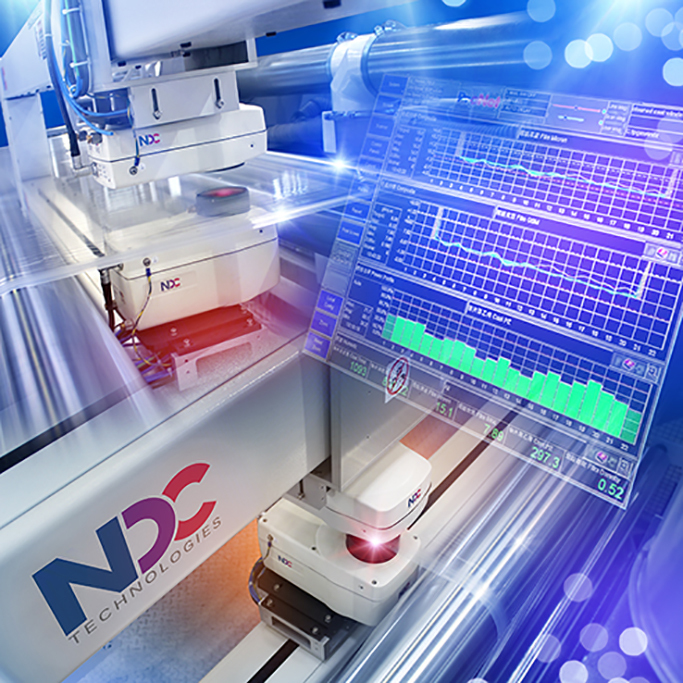 The NDC Series 710e NIR Measurement Systems, Gamma Backscatter, Beta Gauges and X-Ray Gauges offer an unrivalled performance with high accuracy, repeatability and stability for the on-line measurement of film thickness, film composition, moisture, base weight and coat weight in a wide range of applications in the plastics and web Industry. The on-line FG710e Single or Multi component NIR Transmission Measurement System for continuous measurement of film thickness and composition . Extrusion, sheet, film (including biax) and multi-layer coextrusions with following plastic components PET, PP, PE, PS, PVC, EVOH, PA, Surlyn, PMMA and more. The on-line TFG710e Single component NIR Transmission Measurement System for continuous measurement of very thin film thickness . The on-line FS710e Single component NIR Transmission Measurement System for continuous measurement of thickness of voided PP . A family of nucleonic sensors for on-line measurement of thickness or weight of continuous web products. The sensors feature on-sided measurement, small size, simplicity, long-term stability and accuracy . Blown film, cast film and sheet, rubber, vinyl, coatings and laminations, nonwovens, textile, composites, paper and pipes. A innovative sensor for highly accurate on-line measurement of web thickness or basis weight . Features include an ultra-high efficiency detection system and minimized activity sources. Blown film, cast film and sheet, rubber, vinyl, coatings and laminations, nonwovens, textile, composites and paper. An X-Ray sensor that offers excellent measurement precision, a variably energy for superb flexibility in a wide variety of applications , high tolerance to product flutter, and no on-going issues related to licensing costs. Cast film, biax film and sheet, extruded sheet, aluminium foil and nonwovens. An X-Ray sensor that offers unsurpassed measurement range, single sided operation , installation costs, measurement performance similar to a beta gauge, and no on-going issues related to licensing costs. Extruded and calendared film and sheet, coating and converting lines, paper and board, nonwovens and rubber.